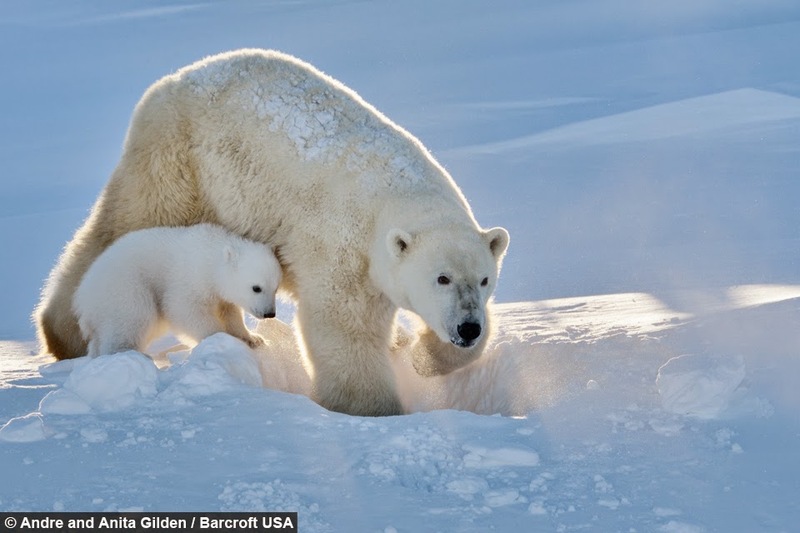 After spending three months with its mother - in a den that she had dug out of the snow - the cub is now getting ready to learn to hunt. 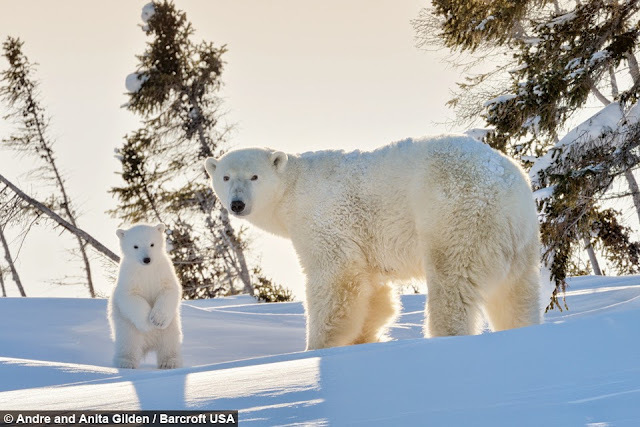 Keen photographers Andre and Anita Gilden, both 54, waited for five days outside the den in temperatures dropping to minus 40 degrees Celsius to catch the beautiful moment in Manitoba, Canada. 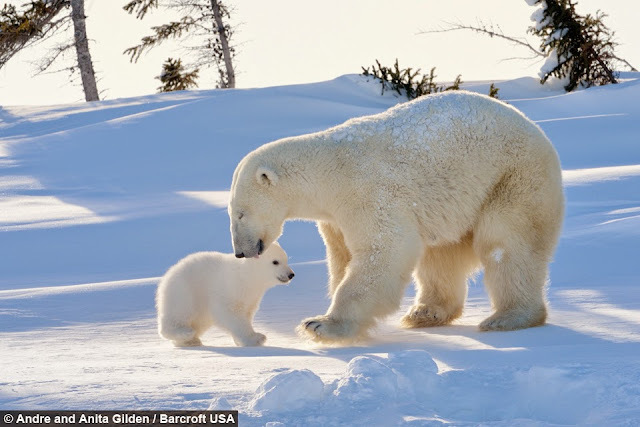 The cute cub clearly has a lot to learn about surviving in the wild but his mother was on hand throughout to teach him. Andre, 54, said: “When we arrived there were no paw prints around the den so we knew we would be catching the mother coming out with her cub for the first time. “It was incredible – the little one still has a long way to go but his mother will be keeping a close eye on him. 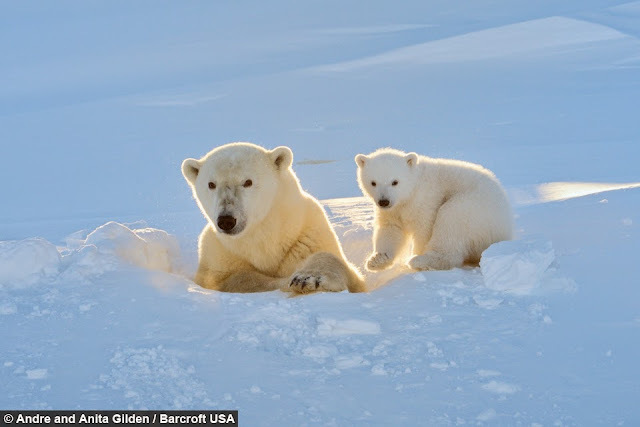 “When we found the den only breath was coming out and there were no tracks around it. 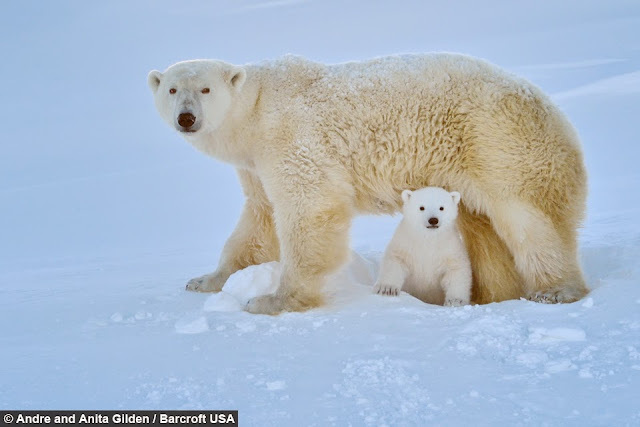 “With the wind chill it felt like it was minus 80 degrees – it was so cold that our nose and eyelids froze to the back of the camera while we were filming.” Andre added: "It used to be common to see mothers with three cubs but their numbers are declining. 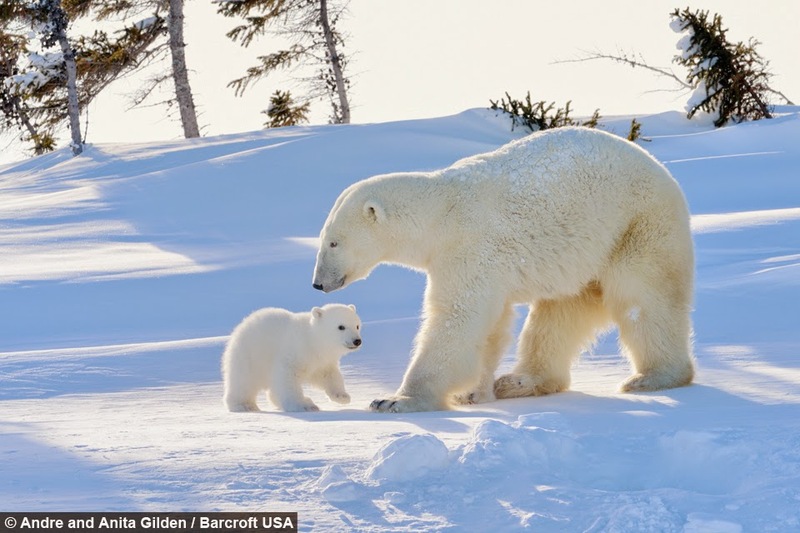 "We wanted to release these pictures to show how beautiful the bears can be and hopefully inspire people to help protect these amazing creatures." 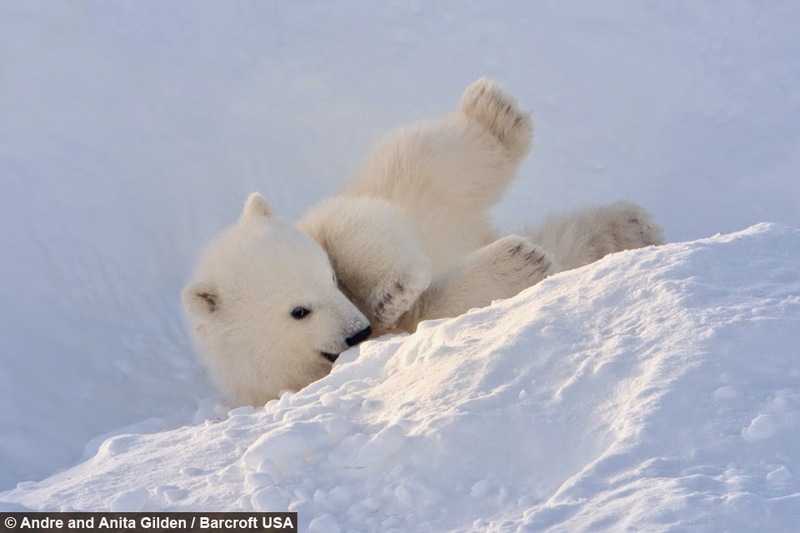 Responses to "Polar Bear Cub Plays In The Snow For The First Time (Photos - Video)"